Rosenbaum isn’t the only new name to be added to the potential Peter Quill list as Joseph Gordon-Levitt is said to be on the short list of actors which also includes Jim Sturgess (Cloud Atlas) and Zachary Levi (“Chuck”). The Quill character is likely to be the central protagonist of the film. Raised on Earth, Quill learns that his father was from outer space and is drawn into an intergalactic conflict that eventually leads to him becoming the leader of the Guardians of the Galaxy. Also said to be on the movie team’s roster are the characters Drax the Destroyer, Groot, Rocket Racoon and Gamora. Check back for casting details on those roles as they emerge. 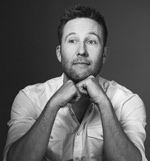 Michael Rosenbaum, a 1990 Castle High School graduate, will be directing and starring in a movie he wrote that takes place mostly in Newburgh and Evansville. Filming will begin early next year. He did not want to reveal too many plot details, however. “It’s about reliving the glory days,” Rosenbaum said. He was honored at halftime of the Memorial at Castle football game on Friday night. Castle gave him a hockey jersey and other items to show support for his acting career and appreciation for his continued support of the school. 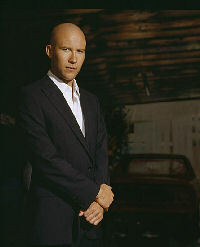 Rosenbaum, probably best known for his portrayal of Lex Luthor in the long-running CW TV series, “Smallville,” recently completed a movie due out this spring with Bradley Cooper and Kristen Bell. 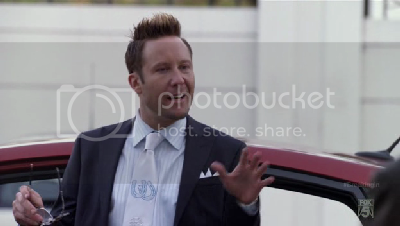 In the spring, Rosenbaum appeared in the new Fox sitcom, “Breaking In,” starring Christian Slater. 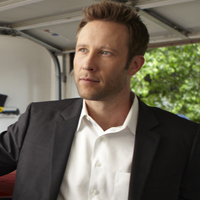 Although it was on the verge of cancellation, Fox renewed the half-hour series and was expected to order 13 new episodes. However, Rosenbaum has not made any decision whether he will return to the show. 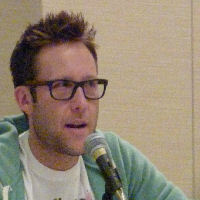 Rosenbaum and his younger brother, Eric, joined forces to create “ROSE and BOMB Productions.” Michael Rosenbaum’s first project with the company was “GHILD” an award-winning coming of age tale about a boy who is born a giant. Rosenbaum wrote, produced and starred in the fairy tale short, which was shown at film festivals throughout the nation. 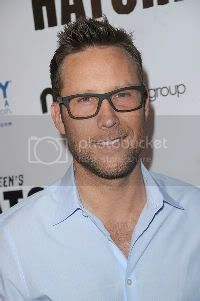 Just a day after rumblings began to circulate online, Fox has officially announced it’s rescuing the Christian Slater sitcom Breaking In from cancellation, ordering a 13-episode second season that will debut in 2012. The comedy, which also stars Bret Harrison, Alphonso McAuley, Odette Annable and Michael Rosenbaum, centers on Contra Security, a company that tests its clients’ security systems by breaking into them. Created by Adam F. Goldberg (Fanboys) and Seth Gordon (Horrible Bosses), the half-hour workplace comedy has a history with the network dating back October 2009, when executives made the initial pilot commitment. The series was officially picked up in November 2010, but didn’t premiere until April 6, 2011, where it served as a midseason replacement following American Idol. Breaking In was canceled in May along with Human Target and a handful of other series, but talk of a reprieve emerged almost immediately.